Get a Dragon Fox Designed whatever you want, as long as it is appropriate. The night was calm and cool, as the leader of Air clan, the warriors that can control the wind, was with an enchanting beauty, the she-cat Seagullfeather, from Water Clan, warriors who can control the water. Their love was as forbidden as it could be. But Crumpledstar could not resist the beacon call from the heart of his love. They met one moon when he was a deputy by the name of Crumpledleaf. At first the two held a despise for one another for The tom's father, the long departed Bramblegrowl who was unfairly exiled for the murder of Seagullfeather's kin, Nightotter who tried to kill his mate and Crumpledstar's mother Gingerear. However, it all change the night they were trapped in the caves. The two had to rely on one another for survival. They turned into close friends, until one night they met at the moonlight of the River of Otters, that was change forever. Since then, they met in secret, no one ever knowing what was going on between them. "I see you have arrived, my love. Once the Hunter was gone off patrol and Boopkins was distracted with Bob and the promise of anime, it was time to have a nice little chat with Peach. “Alright, Peach. No more delays, no more interruption, no more excuses. Spill.” Saiko demanded as everyone was waiting for Peach’s explanation. “It’s… complicated…” Peach muttered as she rubbed her arm. “Then start explaining.” SMG4 huffed. So, the princess began her tale of the fallen monster queen. News of monsters more frequent attacks on the villages of the Mushroom Kingdom spread fast as did the hostile takeover of the Koopa Kingdom. Each attack got worse and worse to the point that the princess was helpless to do anything about it. Peach was clueless on what to do as she watched the news via television, while everyone else was helping Boopkins get settled in the Prince’s Aquarium. They got his anime, underwater tv, body pillow with Miko, and added some house warming gifts for poor Boopkins. Mario got him a statue of spaghetti, Luigi got him a sea castle to live in, Tari got some anime things, Meggy got furniture for the sea castle, Saiko got him some decoration, SMG4 got him a duck, Shroomy got him some rocks and Bob got him tapes of his rapping to listen to. The castle was at a panic as the news of Princess Peach being captured by hungry monsters traveled fast throughout the kingdom. Toadsworth was rallying his toads into going after the princess but it seemed hopeless since the Toads were all brain dead. So, he turned to the next best thing. “Master Mario, you must save the princess from the monsters!” The old toad pleaded. “We’re already on it, Toadsworth.” Mario growled as he run off to SMG4’s room to discuss battle plans in private. There was table of Monster island, using Boopkins’ anime toys as figurines of war. Bowser was crying for Princess Peach, Luigi was fretting, Bob was Rapping, Meggy and Saiko were strategizing a plan, Tari was reading through the book with Boopkins and Shroomy in hope to find a way out of this, while SMG4 was leading the group. “Toadworth put us on princess rescuing duty.” Mario complained. It was another day in the Mushroom Kingdom as Sweet Fishy Boopkins was watching his favorite anime on the sofa. He was laughing happily but then stopped when he heard his father calling to him. “Oh, coming dad!” Boopkins called as he happily swam to his father, the giant sea beast. But he was not alone as there was someone else there too, a chimera with three lion heads with rhino and ram horns as well as rabbit ears, seven snake tails, back legs as ox legs as fronts were wolf paws with wolverine claws, spikes down her back and white angel wings. “Hi Dad, who’s your new friend? My name is Fishy Boopkins.” Boopkins wondered with a sweet smile. “Hello, Young Prince. I am Fireember of the EYMIAMK.” She explained to the fish-like creature. FireEmber345 has started a donation pool! I had an idea for an amusement park on genres of books called Fictionary Park. Each section of the park would be a genre, Comedy Hill, Adventure Cove, Horror Avenue, Twisty History, Mystery Plaza, Romance Boulevard, Science Fic Avenue, Fantasy Mountian, Kiddies Story Land, Thriller Steller and the Castle of Imagination. The attractions will be about a popular book with the same theme as the genre part of the park. What do you guys think, comment to let me know? This creature is by far the most common and weakest of its unholy brothers, but do not underestimate it. Made of human skin and terrycloth, the Ragdoll’s flesh acts as a protective shell for its darker ooze of a body. The claw it sharp enough to pop the head of its victim as its teeth from its mask to devour the head. I believe that it hopes to devour the sanity of its victims in hopes to cure its own madness that it was born from. The best way to deal with this being is to aim at the abdomen with a bladed weapon or three shots with bullets. “WHAT?” They screamed in shocked. “Your father destroyed the Monster Queen?” Tari gasped. But Peach didn’t answer that as she continued the story. 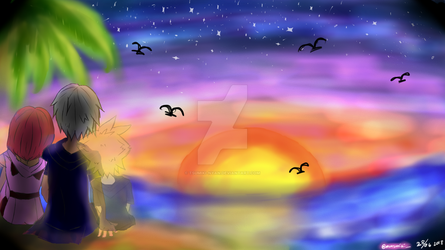 “Boopkins not only lost his mother that day, but I lost my father.” Peach sighed as she concluded the story. “Woah, so-so your father-.” Luigi gasped as Peach nodded. “It’s never going to end, not as long as there is hatred on both sides.” Peach sighed with a tear in her eye. But as they were taking a moment to process this, Meggy received an email. “Ah, I better take this.” Meggy muttered as she looked at the email, it was from Inkopolis. Meggy gasped as she read the recent news, the tournaments were starting up again, and it’s mandatory for all Inklings to play. “Mandatory? That’s weird, sorry guys. Gotta go, something big is going on in Inkopolis.” Meggy apologized as she ran off but not without Tar, Mario and Luigi chasing after her. Leaving SMG4, Saiko, and Shroomy to talk to the princess. Desti and her crew were meeting up with someone. “So, you say that in exchange for getting the Royal Crystal Ink Cup, you can make it happen?” Desti smirked. “Yes, we will fulfill your wish. But you must get he Ink Cup at all cost, or else.” The figure threatened. “Don’t worry about it, Pops. Nobody’s gonna beat us, we got this in the bag.” The octopus girl assured them. While this was happening, the Mayor of Inkopolis was panicking. “What am I going to do? What am I going to do?” The mayor panicked. “Don’t worry, Mayor.” Calli assured him. “Yeah, we sent out all mandatory participants letters to all Inklings. We’ll make sure we’ll win.” Mari added. “I want you two to find the best of the best, set the best team and win the cup. We cannot afford to lose.” The mayor ordered. “Yes sir.” The twins saluted and headed off. Meggy was confused on why all Inklings were called. “What’s up Meggy?” Tari wondered. “Something’s up in Inkopolis. There was never a mandatory tournament participation of all Inklings, not even for one Inkling. Not once since it was built.” Meggy explained. “Maybe it’s free for all.” Luigi guessed. “Nope. Something big is happening in Inkopolis…” Meggy hummed then they all stopped to see the Squid Sisters. “Meggy, you’re here! Good, get your team to base on the double! Orders from the Mayor.” Cali ordered. “What’s going on?” Meggy demanded. “We’ll explain later, we need to go.” Mari pleaded as all four of them were taken to base, an Inkling waiting for them. Breme and Waluigi were trecking together in search of Monsters. According to Wario, there were detections of monster in Inkopolis and they were signs of infiltration within the protective walls. She thanked Wario with a golden coin and left for Inkopolis. She and her more trustable assistant Waluigi were search for them with equipment on their backs. “Yes, Love?” The huntress turned to him. “What’s it like to be a Monster Hunter?” The thin man asked. “It’s not an easy one, but it puts bread on the table.” She answered. “You’re that poor?” he assumed. “Not really, Love. In fact, I have enough money to make a thousand golden statues of myself and still have more enough than I need.” Lady Rife answered as Waluigi gasped from the thought of that much money. “But I don’t do it for the money, I do it keep the ones I care about safe, like my siblings, wish that they were a little bit more caring of me, despite what I do.” She sighed. “You have siblings too?” Walugi asked. She nodded as they continued walking. “Indeed, I’m the youngest of the bunch. Though, it is kind of difficult, I love them all. You probably wouldn’t understand.” She chuckled slightly. “I actually do. Wario is my big brother.” Waluigi grinned. “Really? I really don’t see much resemblance; I find much more handsome.” She remarked as Waluigi blushed from the compliment. Then there was beeping from her gadget. And the two began the search for the monsters once more. Meggy, Mario, Tari and Luigi were sitting on the couch with the boy inkling as the Squid sisters explained the dire situation ahead of them. “Okay, so, what’s going on?” Meggy demanded. “Things have changed since you last been here, Meggy.” Mari began as her sister Cali continued. The trouble began with a strange letter delivered to the mayor. It was demands for the ruling of Inkoplis to an anonymous kingdom as well as full control of its people and resources. If the demands weren’t met within a day… there would be war. The mayor thought this was nothing more than a dumb prank and ignored the warning… at his and every inklings peril. The next day, many buildings were deduced to rubble! With no clues to who done it except another letter for the mayor. As you can see, we are not messing around. We demand the full control of the city, or we will come and take. As you should know, this was just a minor demonstration of the true wrath we can inflict. If you ignore us again, we will show you what we can really do. This brought fear to the mayor, but he refused to back down. So, he sent his men out with weaponry in hopes to better to protect the city. Weeks passed and things seemed to be a standstill with tensions through the roof. There must be a way out of this. The mayor looked and looked for a solution, until he found it by a poster of last year’s tournament. So, the mayor rolled the dice and sent a letter that this should be decided rather on the battlefield, but on the painting field. The winner of the cup gets Inkopolis while the other slinks away. It was agreed and the Mayor had high hopes in wining. Because, no one was better in paint wars than the Inklings. But his happy disposition changed when the rumor of a super team from the kingdom spread. So, with no time to lose, he sent word to every Inkling. “…So, we get every Inkling to participate in hopes that at least one team wins.” Cali completed. “You guys have to win, or there might not be an Inkopolis anymore.” Mari pleaded. “You can count on us, we’ll beat this mystery team and win the cup!” Meggy assured. “That’s right!” Tari grinned as did Luigi. “Do we get spaghetti afterwards?” Mario wondered. “All you can eat if you win.” They promised. “THEN LET’S KICK THEIR ASSES!! !” Mario shouted on the top of his lungs. “Perfect, now, we added one more teammate for you guys as icing on the cake. This is Parry.” Mari introduced the male Inkling with dark red dreadlock tentacles and sharp amber eyes. 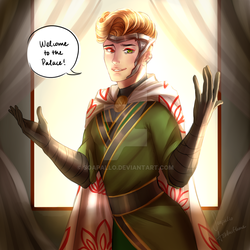 “Nice to meet you all.” He shyly grinned. “He has won at least one hundred events without a single lost and the best paint shooter seen.” Cali she explained. “Well, yes. B-but I’m not that good.” He stuttered. “Okay…” He muttered as a target appeared. With his paint gun he god fifty shots at the dead center perfectly as it tumbled with the paints’ great power! Everyone gasped at the sight. He then blew his paint gun as if it was smoking then returned to being shy. “With you all as a team we can’t lose!” Cali grinned as everyone got prepared to train. Boopkins and Bob were bored as everyone else seemed to disappear. “Aw man, Bob. What are we going to do today?” Boopkins wondered as he opened the door to reveal SMG4, Saiko, Shroomy and peach in a room together walking. But they stopped when they saw Boopkins. “Hey guys, want to do something fun today? What were you guys talking about?” He wondered. “H-hey Boopkins! We were taking about watching Meggy’s tournament. You should head to Inkopolis and find us some good seat for the games!” SMG4 slyly lied. He was worried that Bob and Boopkins would catch him on the lie at first. But then he realized he had nothing to worry about. “Okay! We’ll find the best seats!” Boopkins grinned as he ran off. “Make sure it’s next to hot girls!” Bob shouted after him as everyone sighed. “That bought us some time. So, you were saying?” Saiko sighed. “The question is…. Where will they hit next?” SMG4 questioned as he looked at the map. Desti and her crew were suited up with some… controversial weaponry as they waited for their employer, who arrived in the shadows, which scared the crew. “Hey, don’t do that!” Desti demanded with her hands on her hips. But the hooded one ignored her outburst. “There is word that Team Meggy has returned and has a new player to be feared.” He coldly said. “Doesn’t matter. She’s still going down.” Desti smirked with her paint gun in hand. “Do not underestimate her, Fool.” He growled as he held her by the throat. “Remember, you must win the cup at all cost. Win and you will have everything, fail and you will suffer.” He warned. “Y-yes sir.” She shivered then he dropped him. “Yes sir.” They all saluted as the figure disappeared. A fanfic Arc I am doing on SMG4. Comment on what you think. Tadashi felt weightless. Kind of like a dream, one of the nice ones where he floated gently, safe and in control. A part of him didn’t want it to end, this sort of peaceful air, but the sight before him – the building expanding, bursting apart, flames surging out in a devilish cloud – reminded Tadashi that that could’ve been him, in there, inside, had he been a little faster. You are so amazing . There we exchange literature critiques on a regular basis. Welcome to Inspiring-Stories - the home of happy, upbeat, feel-good and comedic stories and poetry. Thanks for accepting my invite. Please read the rules and regulations before starting. Missions are in journals. I just wanted to let you know i removed "Rot Baby Oddish" from my group "Gore-OCs".